Tizzo Mugiraneza a member of Active Crew trio has revealed that they are responsible of the delay to launch album contrary to rumours that their label has not been helpful. Music fans have been wondering why New Level label is pumping lots of cash and energy in Buravan’s album launch before doing it for Active Crew which joined the label way before Buravan. During Buravan’s press conference on Tuesday, Tizzo was asked if the label choosing to launch Buravan’s maiden album before them is a sign of incompetence on the side of Active crew. “It is not that we are incompetent, all of you know that we have many songs with both audios and videos but launching an album is not our priority at this time. We are currently concentrating on concerts,” Tizzo responded. 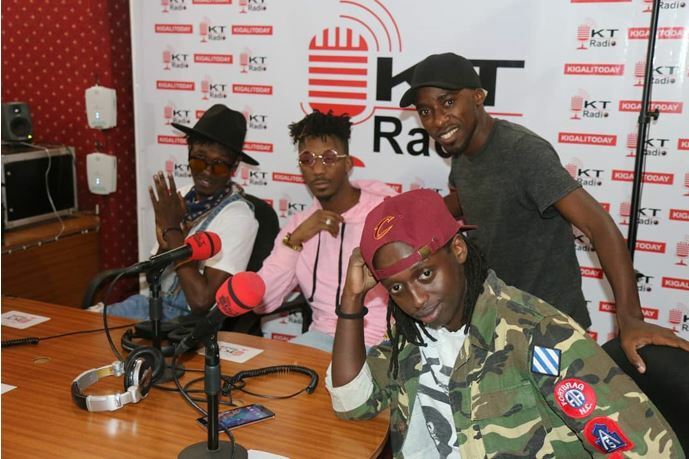 The dancers turned musicians under Active Crew stage name in 2012 and have been releasing hit after hit before Buravan was signed in the same recording label in 2015, but they have never launched a single album. Active crew is made up of three members, Tizzo, Derek and Olvis famous in country for their hit songs like Amafiyeri, Active Love including the latest club banger Mbape featuring DJ Marnaud. The trio will perform among other local artists at Yvan Buravan’s maiden album launch this Saturday at Camp Kigali.